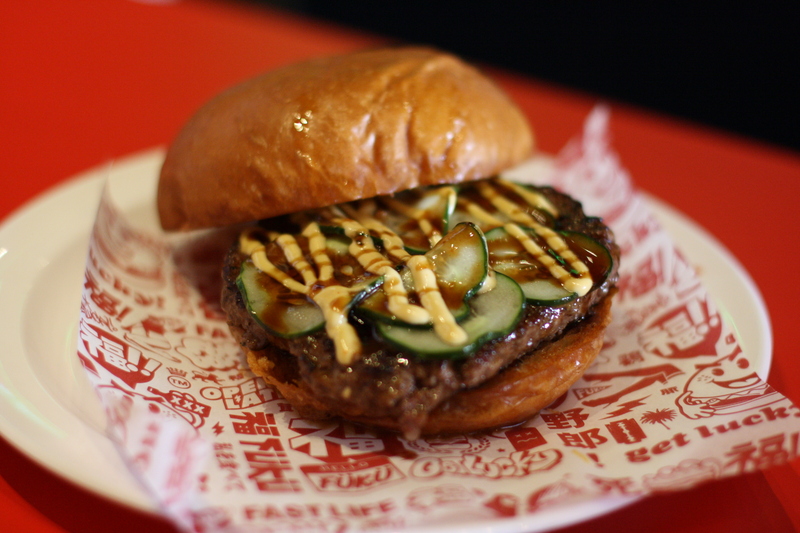 I really dig Fuku Burger. Finally, a gourmet LA burger I could actually bite into without unhinging my jaw. Just unique enough to make things interesting yet still able to satisfy that specific burger craving. The meat patty was juicy, well marinated and thin – which I prefer. The bun was brioche but didn’t disintegrate when it came in contact with sauce/burger juice. I really enjoyed the combo of pickled ginger and crispy bacon on the Pig Burger. The Spicy Burger was actually spicy. The fries were tasty but the sauce could have had more oomph to it. 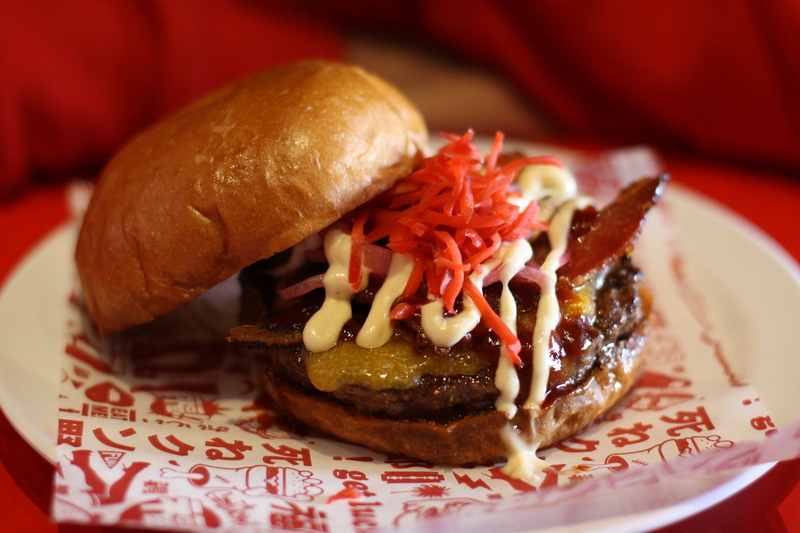 Fuku Burger also boasts a full bar so instead of hunting down a greasy burger to soak up a night of booze, you can just come here first and save yourself a step. 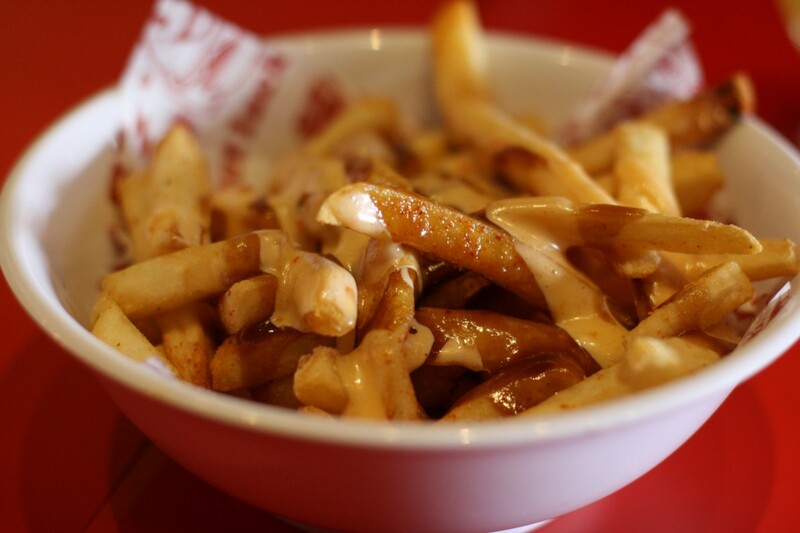 Jazz Fries - with gravy and crack sauce.